"Due for launch on the Vega Rocket in early December 2015, launch VV06 will be a landmark event for the UK Space community. LPF is the first scientific spacecraft to have been led and launched by the UK Space industry since Giotto was launched in 1985. The aim of the mission is to perform in orbit testing of cutting edge technology designed to enable detection of gravitational waves in space. While the spacecraft won’t actually perform this detection, it is paving the way for a future mission enabling scientists to expand their understanding of the universe and to prove whether the predictions made by Einstein about gravitational waves are indeed true. 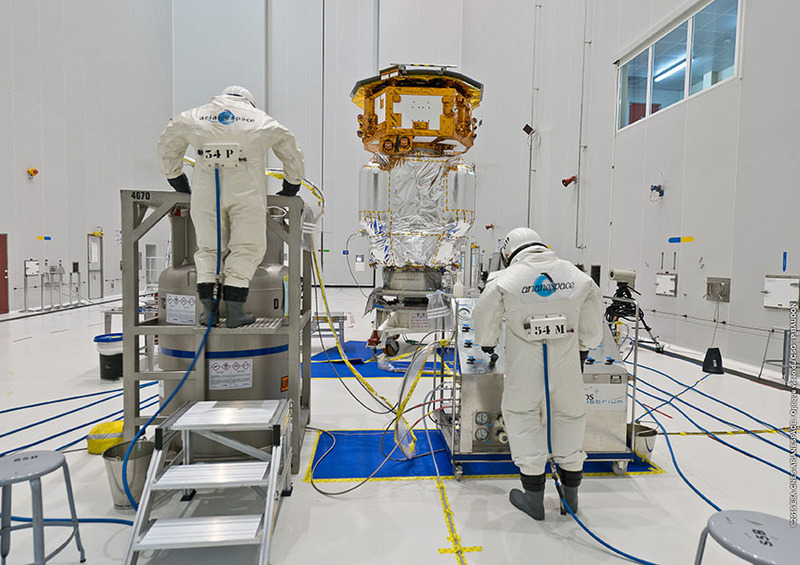 To do this, LPF will be attempting to control the relative positions of two small gold and platinum test masses effectively levitating within the spacecraft. The spacecraft itself has been designed, built and tested by the UK’s own Airbus Defence & Space (formally Astrium) at the company’s Stevenage base in Hertfordshire. The UK led team has included contributions from both industry and academia (University of Birmingham, University of Glasgow and Imperial College London) and contributions from around the globe including Europe and the US. The original contract for LPF was signed by Airbus Defence & Space and the European Space Agency back in 2004 with an original launch date of 2009. However, as with many cutting edge developments, the mission has faced its fair share of hurdles along the way including late changes to the technologies behind the micro-propulsion subsystem and the launch restraint of the test masses. and working away from home and family in order to see the launch achieved. 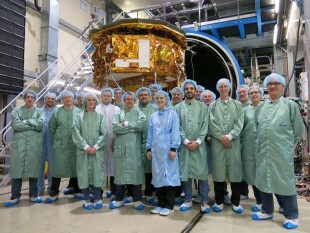 The spacecraft recently completed the final test campaign at the IABG facility in Munich, Germany during which it underwent space environment testing (or thermal test to those in the business) followed by a simulation of the conditions it will face during the launch within the rocket housing (known as an acoustic test). In addition the final pieces of the jigsaw were put in place with the integration of the main science instrument (the LISA Technology Package) containing the two gold test masses which form the beating heart of the technology demonstration. 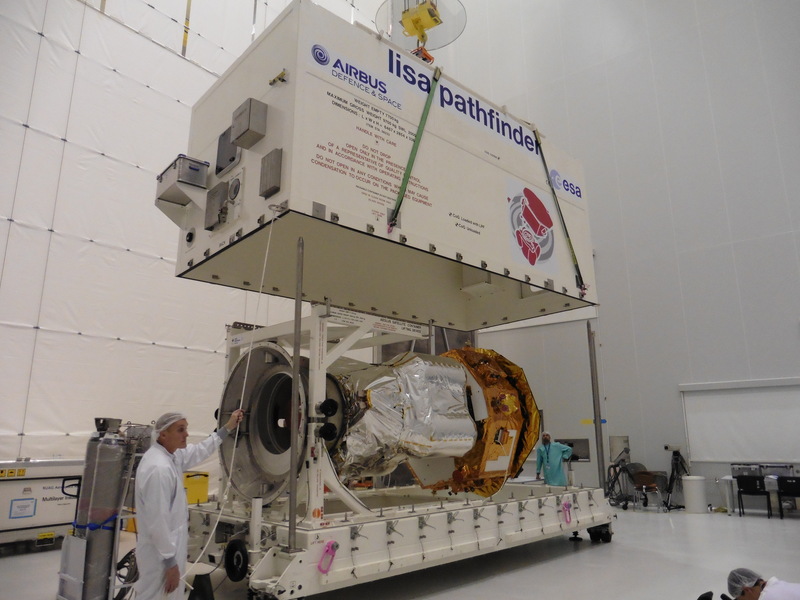 The spacecraft has now arrived at the launch site, Guiana Space Centre, in Kourou, French Guiana. 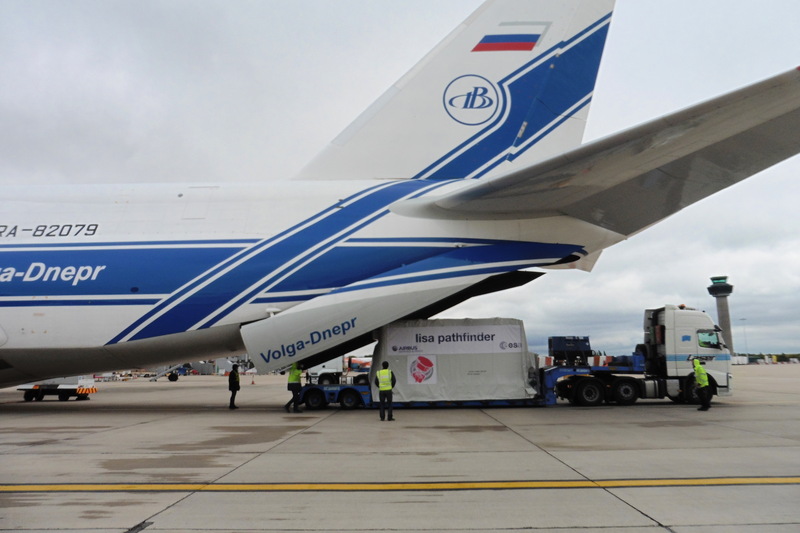 Arriving in style on board the enormous Antonov AN-124 aircraft, the spacecraft departed from London’s Stanstead Airport on the evening of October 7th and arrived in the early hours at Cayenne after a brief refuelling stop in the Azores. Final preparations for the upcoming launch are now well under way. Following the launch, the spacecraft, which is formed of two parts; the main scientific spacecraft and a propulsion module, will make its way to a place known as L1, some 1.5 million km from the Earth. The journey to L1 will take approximately 50 days. Once there, the two halves of the spacecraft will separate from one another, the propulsion module having served its purpose to propel the science spacecraft from the 1540km elliptical parking orbit that the Vega rocket delivered it to and into orbit around the L1 point. The nominal mission is relatively short, 6 months of technology demonstration in orbit and potentially a further 6 months of mission extension should there be a need to perform further tests. Following the results from LPF, the Space community is expected to forge ahead with plans for the full LISA mission, expected to comprise three spacecraft flying in a giant triangular formation creating the largest Space based interferometer ever seen." -Vicki Lonnon, LISA Quality Assurance Engineer | Ian Honstvet, Project Manager. Read more of Vicki's blog here. Considero que es una página de información muy buena. MY BEST WISHES TO LISA IN HERS WAY !!! !